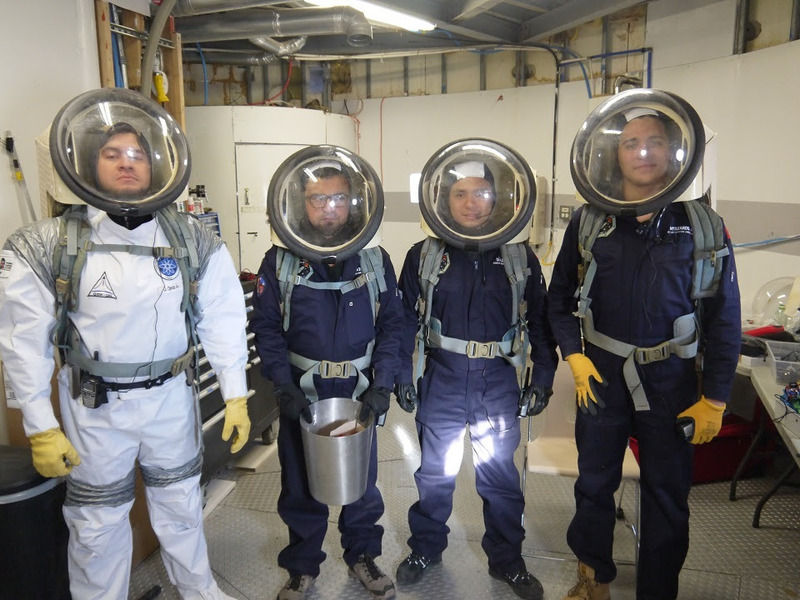 The following is the final summary report of Mars Desert Research Station (MDRS) Crew 187 (Team LATAM II). A full review of this field season's activities at MDRS will be presented at the 21st Annual International Mars Society Convention, scheduled forAugust 23-26, 2018 at the Pasadena Convention Center (Pasadena, California). I had the honor of working with a highly talented crew, not only professionally, but also personally. Our roots come from Peru, Colombia, and Mexico; but in our hearts, we carry the responsibility of representing all of Latin America, which we will always do with our best effort. Each member of the crew was a key to success the mission; their experiences, knowledge in science and engineering, their high commitment to make the simulation as real as possible, his teamwork and constant support were valuable; always following the philosophy of “All for one and one for all!”. Every day on Mars was a great adventure; we celebrated a Martian birthday, we recharged a diesel tank, we saw the sun, the moon, the constellations, among other wonders of the universe, we were the first explorers of a canyon, and we had the honor that all the crew wishes to have, to give the name to a canyon and a road; in this way El Dorado Canyon and Despacito Road – because you have to go slowly along this road for the safety of each crew member – are now part of the MDRS map. El Dorado was an ancient legend about a city full of gold that challenged every explorer who dared to look for it. For us to call it that reflects the curiosity that awoke in us as new explorers of Mars and the desire to leave in there a Latin American mark. I feel proud of each member of this crew since at their young age they have achieved great things with that courage and strength that characterizes every Latino. No matter how big the challenge and the obstacles that each one has to overcome, I am sure that with effort, courage, and dedication they will be able to do it; as well as we all defeated together the adversities that they had in our stay in the MDRS. In these fabulous 15 days, each one gained experience, acquired new knowledge, expanded his way of seeing the universe and learned from others. More than being part of a crew, we are part of a family … a Martian family! Crew 187 is eternally grateful for the support and trust gave by the Mars Society, Dr. Robert Zubrin, Dr. Shannon Rupert, MDRS Mission Support and all the people and institutions that believed in each one of us. To read the full crew report, please click here. The Space Review: Will WFIRST last? The Space Review: Why couldn’t NASA do this?